Across the Ottawa River via the Alexandra Bridge in Gatineau, Quebec is the best museum I have ever been to, the Canadian Museum of Civilization. It charts Canadian history from the First Nations to modern times through out the provinces from East Coast to West. It is Canada’s most visited museum but it is often overlooked by tourists as it isn’t included in many Ottawa city guides due to it being in another Province even though it is actually only about 2 km from Parliament Hill. We arrived as the museum opened and had the place to ourselves in the beginning and even though we walked around it all day long until our legs ached we didn’t get around all of it, the building is enormous! The First Peoples Exhibits take up the entire ground floor and was my favourite part of the museum and the display of totem poles in the Grand Hall was simply breathtaking. There was an interesting display on the first immigrants to Canada, this photo in particular made me smile. And a rather unnerving temporary exhibition on Vodou. I will not attempt to describe the whole museum as it was so vast but if you are ever in the area be sure to pay it a visit, take the whole day and wear comfy shoes! This entry was posted in Canada, Travel and tagged Ottawa on February 11, 2014 by Lou. Looks great Lou, will send you a photo of Auntie Joyce’s painting of a totem pole, the only one we could afford at the auction if you remember. Must have been an omen! Wonder where she got the inspiration for the picture from? You can tell me if it bears any resemblance the exhibits in Ottowa. Sounds amazing and I love the photos, especially the lead one of the Alexander Bridge. My boy would love that museum! I love totem poles! They are so beautiful and different! I know where we’ll be going next time we visit the in-laws near Ottawa! Looks like an amazing museum to visit and I love the totem poles. Seeing the pictures of all the snow makes me nostalgic about my time as an Exchange Student in Alberta during High School! 🙂 The Canadian Parliament looks so beautiful! Wow that view of the parliament hill is amazing. I have not been to Canada yet and I would love to especially from seeing your blog post. 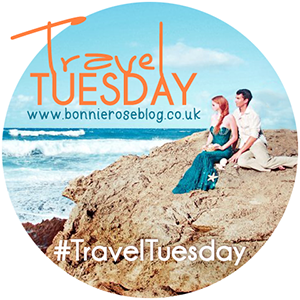 Thank you for linking up for travel tuesday.